anyone in Port elizabeth South africa that can demo this phone for me? i have tried 2 people/places...and cannot edit excell? 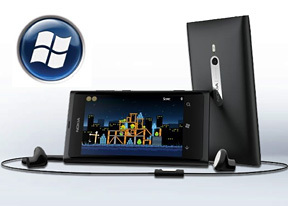 Please dont buy nokia lumia 800 phone. It is having all the problems. I purchased a month back and the mobile was in nokia care service center over 15 days. Though there's few disappointments here and there, i still found it to be the next best thing after so many years using an android phone. Bought this phone for several months, uses it. Coolest phone that I've ever touched, has extra capabilities like system-default battery saver and more. But needs a lot of improvement regarding battery life and Internet Explorer. Did you guys turn off the automatic adjust setting in the brightness menu and the auto display intensity in the extra settings menu when you compared the screen brightness with that of the N9? Because WP7 phones auto dim when most of the screen is lit. Anonymous, 13 Jan 2012COULD YOU DO THE AUDIO QUALITY TESTING AGAIN, WITH THE NEW SOFTWARE UPDATE!! I'M REFERRING ... moreUsed a non-compatible headset? great phone design, screen (better than iphone 4S, just view Home on it and compare), so easy to use, WP7,5 is better than Android, any doubts, TRY it! it does not have cheap plastics like Samsung, great phone, great OS. i think most ppl still do not know that WP7 phone cannot support bluetooth file transfer. all i want to clarify , how many gmail accounts can be opened or how do we open multiple gmail accounts in lumia800. I have different gmail accounts for different businesses, so need to have icons of all accounts to access the mail . COULD YOU DO THE AUDIO QUALITY TESTING AGAIN, WITH THE NEW SOFTWARE UPDATE!! I'M REFERRING TO THIS: "Nokia has been investigating the comments made by our Discussions members in this thread, and we can now advise that some audio improvements have already been made in software version 1600.2479.7740.11451 for the Lumia 800." AnonD-3234, 12 Jan 2012Im disappointed with nokia which is the best brand in mobile industry why it joined hands with... moreI agree, and i disagree with you. I too would like to see a Nokia Android -device. But i think Windows phone is good and should be there also. It's an iphone for people who don't want an iphone. Android is not as userfriendly, easy and fast as WP, but has several other good points. Android is popular for a reason. Im disappointed with nokia which is the best brand in mobile industry why it joined hands with the failure Microsoft windows which has nothing nor apps or games .Nokia if you people are serious then plz plz join hands with Android and dump this windows ,symbian,meego or whatever.Because today or forever leader in OS is ANDROID only nothing else and i say NOTHING !!!! If Microsoft has made something to praise for, it is the Windows Phone. However, its hardware has not received that much affection to be considered as a truly premium product.